Discover the wonderful world of plants with our fantastic collection of teaching, activity and classroom display resources. Includes a child-friendly guide to plant growth, pollination, photosynthesis, classification, adaptation and much more! One Fifty-Two Page Guide to Plants – A huge, child-friendly eBook about plants, covering the different parts of a plant, photosynthesis, reproduction, seed dispersal, adaptation and much more! Also includes a comprehensive glossary of related words. Thirty-Two Plants Follow Me Cards – A set of plant-themed questions with matching answers. 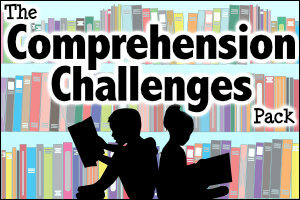 Give each child one of the questions and ask the rest of your class to find the correct answer! Twenty-Four High Quality Plants Images – Twenty-four high quality images that you can use as the starting point for classroom discussions or on your display boards. Four ‘The Parts of a Plant’ Posters / Activity Resources – A poster that teaches children about the main parts of a plant. Also includes a variety of differentiated blank versions so that your students can add their own text. Five ‘How to Plant a Seed’ Poster / Activity Resources – A poster, with related activity sheets, that you can use to teach your children about planting their own seeds. One Plants Word Mat – A handy mat showing different vocabulary related to plants. A useful resource for a classroom display or as a reference tool on children’s tables. One ‘Leaf Shapes’ Resource – A selection of illustrations of different shaped leaves. Use this as a discussion or activity prompt with your children. How would they describe each leaf shape? Why are leaves different shapes? Three ‘How are they Similar / Different?’ Resources – Use these printable resources to compare a variety of animals (including humans) and plants. One Senses Resource – An activity that challenges your children to compare senses between humans and plants. How do they respond to their environment? One Plants Crossword and Two Wordsearches – A collection of challenges to help your children review their knowledge of plants vocabulary! 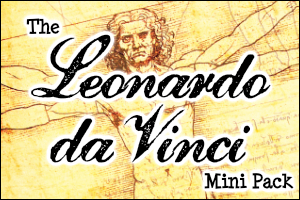 One Display Banner – Decorate your classroom with our free printable display resources. 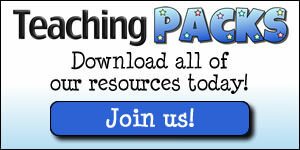 Watch the video below to view samples of resources from the Plants Pack. My daughter and I loved using this pack as an addition to our botany block. We loved the vibrant pictures and the fun games. It was an essential tool in our learning. Good selection of resources to support teaching of plants. A very comprehensive pack - I used this in my Year 2 class and the children really loved! It covers everything the child need to know and more! Effective illustrations marry well with the information. Cant wait to use it again this year. I have a 4.1/2 year old grandson who loves gardening when he visits us. Everything we see regards wildlife in the garden we find a download on the computer and then put it in his 'special' folder for gardening and wildlife. This plants pack is just great for him to learn even more and the photographs/charts are great for showing and explaning all about the plants side of gardening. Along with his forest school, this pack, and his ability to work with nature outside in the garden or woods makes him very aware of what goes on around us today. Kids love nature and getting dirty given the opportunity to do so, everyone should be given this chance no matter how young. 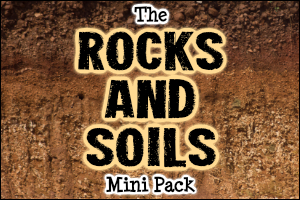 Download this pack and start the kids off on an adventure with nature and the great outdoors. You will love it and so will they. I've just had a REAL treat; downloading The Plants Pack! Your illustrations are beautiful AND you have covered every aspect of the learning which children need - truly inspirational!!! THANK you SO much - can't wait to use it!